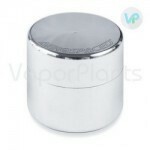 Looking for the best vaporizer that you can use to fully enjoy your favorite aromatic blends at home? Look no more - the Firefly 2 has arrived - and it's a masterpiece. Unlike many others that heat herbs through conduction, the Firefly 2 vaporizer features dynamic convection heating technology combined with a glass vapor path and bowl, so that you can experience a 100% combustion free experience. It very easly reaches set temperature in under 5 seconds, providing on-demand vapor wherever you desire. This improved 2nd version is 55% lighter and 33% smaller than the original, as a stainless steel frame has been replaced with an ultra-lightweight magnesium alloy. The Firefly unit is a luxurious choice engineered to meet the needs of even the most discriminating of vapor enthusiasts. The Firefly 2 is a portable vaporizer for both dry herbs and concentrates. This vaporizer is ideal for those who want something that heats up quickly, can deliver great vapor consistently, and has a long-lasting battery. It has received many awards such as the Best Overall Vaporizer by Gizmodo. It has also been dubbed the Best Portable Vaporizer on the Market by Portland Mercury, and even Newsweek is calling it the iPhone of Vaporizers. No matter if you are new to the world of vaporizers or have been using them for a long time now, the Firefly 2 is one that you are going to love thanks to its adjustable temperatures, its sheer portability, ultra long-lasting battery, and its ease of use. The Firefly 2 is a durable, stylish, and ultimately portable dry herb and wax vaporizer. This vaporizer uses a convection-based heating method that makes sure it won't burn your materials and provides even heating at the same time. - Price - The price is a bit high at $329, but with all of its features, many think that it is worth it. - Vapor Quality - The vapor quality of the Firefly 2 is outstanding. This is largely due to the fact that this vape has convection heating that prevents any sort of combustion so it will never produce harsh smoke. Convection heating instead heats the material with hot air, allowing it to cover more surface area than its conduction alternatives to release more of the vapor that you're after. - Guarantee - The Firefly 2 comes with a two-year limited warranty. It protects the device against any defects in workmanship or the materials under normal usage. This warranty will last for two years to provide you with the ability to exchange, repair, replace, or refund the Firefly 2 during that period. - Prep Time – The Firefly 2 takes no time at all to load due to the size of its chamber. The rapid heat-up time of the Firefly 2 allows you to load up the vaporizer and go, letting you vape on a whim anytime, anywhere. It is just as simple to clean. - Portability - The Firefly 2 is ultra portable and durable. This vaporizer is lightweight and won't weigh you down when you carry it around with you. This makes it ideal for carrying around town as easily as you carry it with you on a long hike. - Ease of Use - Using the Firefly 2 is easy to do. This vaporizer takes only seconds to load and a few seconds more to heat up, providing you with a way to vape whenever the mood strikes. There is a window that allows you to see the vaporization as it happens, letting you know when to heat it and when to stop. - Heating and Temperature Regulators - The Firefly 2 offers temperature controls for you to choose from. - Power Supply - The battery of the Firefly 2 is long lasting and only takes an hour or two to charge. It can last you between 40 and 80 draws once it has hit full battery level. 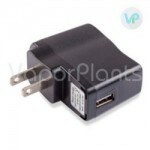 It recharges using a universal USB port that is easy to use so you can charge your vaporizer virtually anywhere. Grind up your material finely. You want to expose as much of the surface area as you can when grinding without turning it into a powder, or prepare your wax material on one of the picks that comes with the vaporizer. Pop off the face plate to access the chamber. Load the material into the chamber at the end of the unit. Be sure that you load it loosely packed to allow the air to circulate around the material. Allow it to heat to your desired temperature. Take the included cleaning brush and wipe out the inside of the chamber. Clean out big particles of residue and flowers in the chamber and on the face plate. For smaller residue, use the included cleaning wipes that come in the kit. You can also use Isopropyl alcohol. Open up the package and wipe down the face plate with the cleaning wipes. Then, wipe down the chamber and clean off the vapor path as well. Rub it down and allow it to dry. Pop the face plate back on and you're good to go. This state-of-the-art herb and wax vaporizer is ideal for those times when you want the performance of a desktop but want to be free of the constraints of cords and wires. And who says you can't improve on a good thing? After changing the world of vaping forever with the 1st version of the world's first convection vape, the engineers at Firefly are once again revolutionizing vaping with the state-of-the-art Firefly 2. This model will treat you to the absolute best vapor, whether you're enjoying dry herbs or concentrates. Simply put, there's no other portable vaporizer like the Firefly 2. What is the capacity of the Firefly chamber? A: The chamber can hold up to .15 grams of herb. How do I change the Firefly temperature settings? A: You must use the app that comes with it. Compared to an ordinary dry herb vaporizer, Firefly 2 is much sleeker and more stylish, plus it can fit comfortably in your hand and features a weighty, durable housing that can stand the test of time. The Firefly 2 uses the company's convection technology to heat up herbs and waxes at low temperatures. Within just 3-5 seconds, your vapor is ready to be enjoyed, and it travels through borosilicate glass vapor pathway, with a particulate filter to reach your mouth in its pure, clean form. The taste and smoothness produced is truly incomparable, and its efficiency means you'll get the most out of every drop of your material. Free Firefly mobile app will put you in full control of your vaping experience. Use the app to choose the perfect heat level from the six available settings, and to monitor and modify the performance of this great herb vaporizer. LED indicator lights let you know when the vape is ready to go. Sold with two powerful removable batteries with long lives, the Firefly 2 vaporizer lets you enjoy more of and longer vaping sessions on the go. Charging takes only 45 minutes via USB 3.0 cable, so your unit is ready to go in no time. This is by far the fastest charging time, and since an additional battery pack is included, you will always have a backup and be ready at a moments notice. Like with any battery, it is recommended to always remove it from the charger once fully charged, and wait until the battery lost its charge completely before recharging, for optimal performance and lifespan. Light and compact, this great vape can fit easily into your pocket, and the unique magnetic chamber lid prevents spills. There are a number of differences between the Firefly 2 and the original Firefly. In terms of size, as mentioned before the Firefly 2 is 33 percent smaller and 55 percent lighter than the original, making it much easier to carry. Battery life is improved with the newer model, and the mobile app is a completely new feature. The new version also works better as a wax vaporizer than the original, giving you an equally impressive experience with both herbs and waxes. Use VP5 Coupon Code at checkout and save 5% Off. 5.4" x 2.0" x 0.9"
New to vaping. Haven't smoked herbs since I was a kid but now that it's legal I find that the CBD heavy products help relieve stress and anxiety. And, if you're going to vape this is the way to go ! Expensive but worth it ! All convection, easy to clean, charges quickly and is extremely well made. Small learning curve - Review by Donna A.
I will admit that I was not sure about this vape the first few days that I owned it. I was aware that it had something of a learning curve and after a few uses I learned that this was true. At first, I was not getting much vapor but I was certainly feeling the effects of the Firefly 2. Super smooth tasting - Review by Clifford A.
I thought it was just something I needed to get used to, yet after around a week or so I got a technique going and ended up getting a lot of vapor. It is a really great unit and I love the flavor that I get. It's super smooth tasting and has a low smell. One of the biggest reasons I ended up purchasing the Firefly 2 is because I can take some hits and then put it down and come back later. This vape is one that needs a bit of a coarser grind and not a fine one like a lot of others. I like to warm it up a little on a medium temperature and slowly go up; this seems to work the best for me. It is pricey but it is certainly worth it. I am glad I chose it - Review by Francis C.
The Firefly 2 is the first vape that I have ever purchased. After a good deal of research, I determined that this was the one for me. Best one for me - Review by Latesha S.
I consider myself to be a vape enthusiast. I have owned all different kinds of vaporizers from all across the board and all across the different brands. The Firefly 2 is the best one for me. I conclude that the Firefly 2 is best because of the quality of the vape itself, the great vapor quality that it produces and how it looks. It is not as inconspicuous as some other vapes on the market due to its shape but it is a great indoor portable vape. I love the great flavor, the number of heat settings, and the exceptional design. 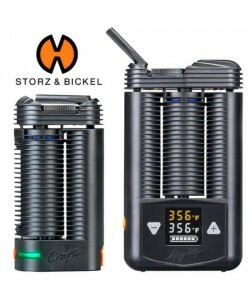 Really impressed - Review by Christopher M.
I am really impressed with the Firefly 2 and would consider it the pinnacle of portable convection vaporizing. It was fun to vape the first time and is still fun to vape to this day. I love the flavor that comes with it and the low draw that you need in order to get said vapor. It is really easy to use. Charging is a breeze, as is setting the temperature. The app is simple to use, and I can load and clean the chamber with no problem at all. What a pleasure Firefly 2 has been to own. I hope that more people are able to see the value of buying one. Best one I tried - Review by Joseph F.
I love the Firefly 2. It really is the best one I tried this year. The Firefly 2 offers the most enjoyable vaping experience out of all of the different vapes I have tried. It is the most potent, smoothest and coolest vapor that I have ever had. A bit of a learning curve - Review by Phillip L.
For the first few days I hated it but that was because I was not using it the right way. It is true that the Firefly 2 has a bit of a learning curve but once you conquer it, the vape is truly something special. It holds around .20 grams it says, and I am able to get around 10 draws before I need to redo everything. It is the coolest and best tasting vapor on the market, no doubt about it. It gives me cleaner vapor than any of the other kinds of vapes I have used. Best portable vaporizer - Review by Marion K.
The Firefly 2 is the best portable vaporizer out of all of them, hands down. It has superb technology running it and consistent and authentic flavor. It is the best portable option out there and I recommend it to everyone. Definitely loyal to Firefly - Review by Joseph G.
Before I bought the Firefly 2, I had tried it before and I was already a big fan of it. After purchasing it and being able to use it on my own whenever I want to, I am definitely loyal to the Firefly 2. This vape is awesome especially when they add in the power tuning on the app that they updated. I can tune the heat up to as high as I want and I get really impressive clouds when I do. It takes a lot less effort on my part to pull and get the vapor out, so that is really nice. I have tried a lot of the big brand vapes but none of them have been able to do what this one does. I have even had the volcano. I can't stop vaping on this awesome vape. It just gets better and better the more that I use it. Great taste but minimal smell - Review by Craig P.
I had vaporizers in the past that always had something wrong with them so I switched to the Firefly 2 after reading a lot of reviews. It has a really great taste but minimal smell, which I love. It feels good in the hand and feels really well made. This one wins - Review by Barbara S.
I love the Firefly 2. I don't think I will ever want to buy a different brand. I definitely do not want to use any of the old vaporizers I still have sitting around in my home. 10/10 - Review by Lisa C.
The Firefly 2 is a solid portable vaporizer that is so fun and easy to use. Reviews on the Firefly 2 were right - Review by Iris A. The Firefly 2 is my new favorite vaporizer. I did a lot of research on the different kinds of vapes out there before purchasing this one; all of the reviews on the Firefly 2 were right. I have never been happier with a vape than I am with this one. Customizable and unique - Review by Billy C.
The app that comes with the Firefly 2 really makes it customizable and unique to use. I love this vape more than any of the others I have ever tried. Go to vape - Review by Janice R.
The Firefly 2 is my go to vape for everything. It heats up fast and offers me so many different options that I'll never go anywhere else again. Puts the rest to shame - Review by George S.
I love the Firefly 2. I have had it for a few months now and it really puts the rest to shame. There is no chemical smell and it is simple to turn on and off. I like that I can easily toggle between vaping dry herbs and vaping concentrates. Full convection heating - Review by Victor B. The Firefly 2 is my new favorite vaporizer thanks to its full convection heating. Nothing ever gets wasted and everything is heated to the precise temperature I want. I feel like it uses up every little bit of the material I load in. The Firefly 2 comes with a few things that I like such as its simple cleaning and ease of use. I like how it looks and the modern appeal of it. It is simple to pack and to vape. Doesn't waste any material - Review by Jennifer F.
The Firefly 2 really impressed me. It may take a little bit of time to get used to but that only lasts for a few sessions. It has a high draw resistance so I have to pull pretty hard which I don't like, but otherwise, this is a solid little vape. It heats up right away and doesn't waste any of my material. I think a product like this, definitely stands out from the others in it's category, I'm liking the heating feature, looks very cool. The design is well planned out, and useful; not too flashy, nor ugly. Once again, another great vaporizer by Firefly team! I love my Firefly 2 vaporizer, but this description of it is right. You do have to kind of master a technique to get it to work right. I have also found that stirring helps to get everything nice and brown, so you don't waste any material. The price tag on this model is steep, but I've tried others and definitely think it's the best portable vaporizer you can get. Newer model that is lighter, which is a good thing, because the Firefly 1 is a little heavy in your pocket after awhile. I am so excited to try the Firefly 2. I love my Firefly vaporizer, and have long thought that it was the best portable vaporizer on the market, but it definitely had some places where it could be improved. The thing I'm most excited about is the smaller, lighter design. The Firefly 1 is heavier than it looks. I know it's partially because it is so durably crafted but it can be hard to carry. I'm also excited to hear that it has a longer battery life as that's the second biggest product with the Firefly 1. Firefly 2 is a massive improvement, and push forward in the vape industry. The convection heating and glass vapor path make for the smoothest, most flavorful experience imaginable. Now the latest app update includes "Power Tuning," which is basically manual temperature control. Same flavor, bigger clouds! I can't wait to see what more features they have in store for us. This is a device that grows on you the more you use it. This is the future of vaping right here! This vape performs better than most others, I’m also grateful for the grinder. I do wish that it had replaceable mouthpieces. Also, the top door sits super flush with the bottom very well. In totality, the Firefly is an amazing unit. My Firefly 2 came more quickly than I expected, with the extra gift of a grinder which came as an unexpected surprise. Sincerely, this vape delivers all I want from it. If I had to give a con, it will be the price. Nonetheless, I still recommend this to many people. The most important characteristics of this vape are the ease of use, the classy look, and the solid build. Pros: It is easy to clean and use. Cons: Better then average performance, but pricier than others in its range. Nevertheless, this is a good buy. If you aren’t concerned about the cost, this would be the perfect product for you. On the other hand, if you don’t like its look and compact build, spend a little less money and buy PAX 3. Needs Some Minor Improvements - Review by David F.
Firefly Vape Pen is a great looking device, feels great, and is definitely a great functional art piece on your living room coffee table. Definitely not for someone whose has just been introduced to vaping, but rahther for someone with experience of using other vaporizer pens. I have gotten it in color Red, and it definitely attracts people and makes them curious what it is and what it is for. Great marketing job - guys Firefly, but the battery needs to be dramatically improved. Until the battery quality is improved I would recommend to get at least another battery when purchasing your Firefly. VaporPlants staff assisted me with the purchase and delivery was made within 2 days as I am very close to their fulfillment center. Did not order 2nd battery right away, but did it a week later, just have a spare as I know sometimes batteries fail on these things. I am happy with the design and looking forward to "test" my vaporizer for many more months to come.